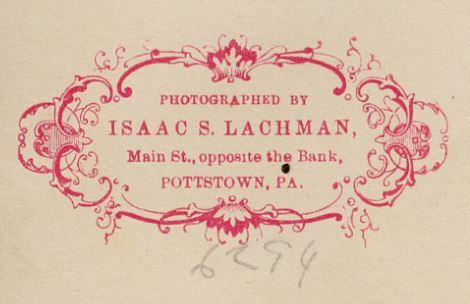 Isaac S. Lachman is one of the photographers in the area around 1870. Back when camera equipment was considered a luxury and not readily available to the public and the price of the camera at around $10 ($255 in today’s dollars), it was easier to dress up and visit the photographer. Small pictures were usually attached to a piece of cardboard with the photographer advertisement in it. 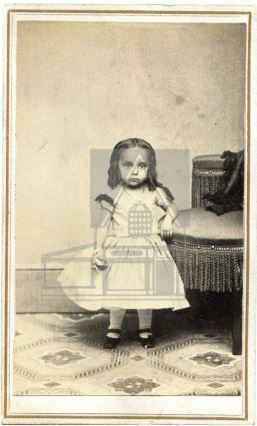 These are commonly known as cabinet cards and were popular circa the 1870s. 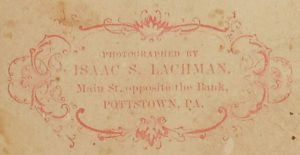 There are many cabinet cards with Lachman’s logo in the collection as well as a group of scans recently donated by a friend of PHS. Interestingly, the era of commercial logo design started in the 1870s. 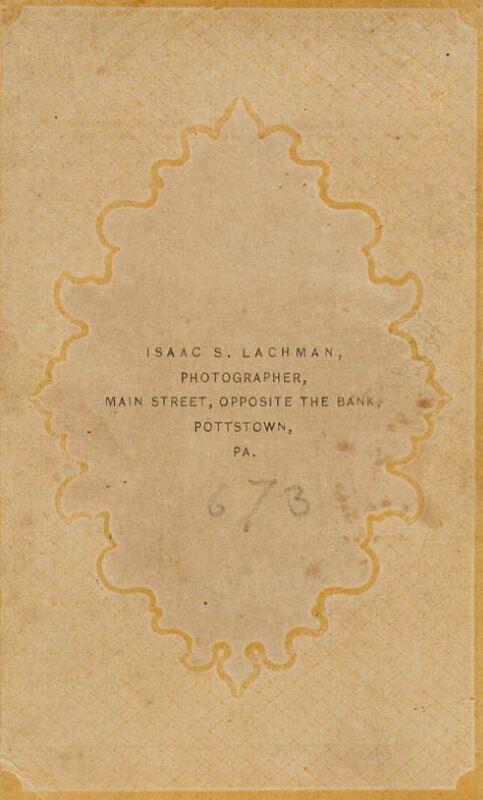 The evolution of Lachman’s logo tells us a little about his progress as a photographer in the area and the location of his studio on High St.